I’m very excited to share these Ultimate Reset Results with you! Lisa has been working SO hard to lose weight and after some fertility treatments, nothing was working. To see the breakthrough she had with the Ultimate Reset in just 21 days is not only incredible, it’s very gratifying to see (as her coach)! If you’ve tried everything else and nothing is working, I recommend the Ultimate Reset! I’ve seen a 100% success rate with it when people complete the program. I did Ultimate Reset for 21 days. 14.6 pounds lost, 3 pant sizes down and I lost 16.25 inches lost total! The entire year of 2015 I was a patient at a fertility clinic experimenting with various medications and procedures. The emotional, physical and mental stress associated with all aspects of fertility is horrendous. On top of being a textbook emotional eater, every month was an extreme high followed quickly with drastic lows. My body was going through havoc and I think it just had had enough. The weight was piling up. The stress was at an all time high and my emotional state was out of control. David was one of the only people that knew my struggle as I trusted his opinion on how to turn my body around and just as a person in general. While on the SC cruise he sent me a message about doing the ultimate reset with Kate. At first I was like “no way!” Mainly because I knew that in the last 12 months I had cheated on every plan and with the emotional effect still present, I didn’t want to set myself up for failure. I wasn’t sure if I could have the ultimate reset weight loss results that I wanted. After deliberating over it a couple of days, I decided I had nothing to loose. If I wanted to make a change for real and reverse what was going on, I needed to do this. My hormones and metabolism were on a nonstop roller coaster last year and this was going to be the thing to fix it. So I jumped in. Having completed the program now, I am forever grateful to David and Kate!! It was so much easier than I had anticipated! The food was so much better than I had expected and I am still eating the menu today! I am happier, less stressed, still emotional about babies but not like I was! I would consider this an ultimate reset transformation. An ultimate reset success story! My relationship with my husband is better. My relationship with my son is better. My overall attitude towards life is better. I am not sad every day. I am more energized, sleep well and eliminated some aches and pains associated to my autoimmune disease. Most importantly, I LEARNED so much about nutrition and the effect of various foods on my body, and about my own willpower and strength. After the first of the year we decided that we were done with the fertility clinic assistance. It had become too much stress all around and the medical bills were piling up. It had consumed my life. I decided I needed something else to focus my attention on. With H&C, I think that was a stepping stone to distract my mind, but with the Ultimate Reset, I was finally ready to let go of my sadness and anger. This program has literally changed my life and brought me back. My ultimate reset transformation ended with 16.25 inches lost, 14.6 pounds lost, 3 pant sizes down (which puts me back to before the size I was prior to being effected by last year’s experiences), and I shed an entire unhappy unhealthy person and mindset! This program has proven to me I am capable of anything! I am excited to start my next program and get amazing results! My life has improved tenfold. 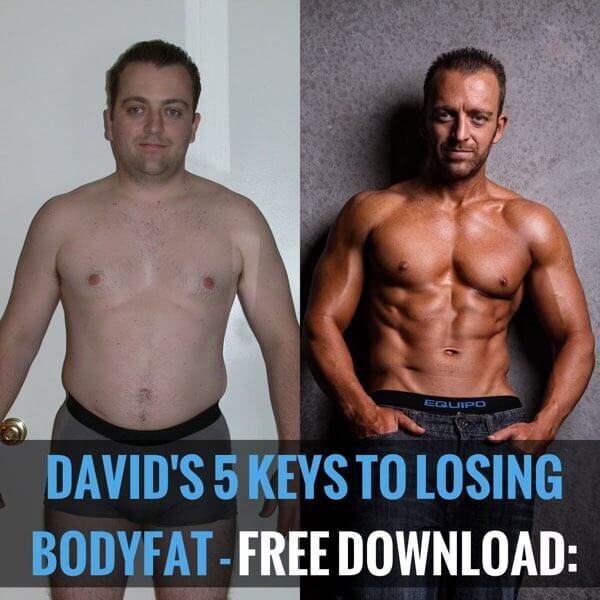 David was instrumental in me doing this program as I never would have considered it had he not brought it up and explained the effect it could have on my obvious hormone imbalance and unresponsive metabolism. I wasn’t sure if this was going to be an ultimate reset success story. Kate was crucial throughout the program for me and even still in post reset learning. She kept me accountable, participating, and wanting to do as well as she was! She played a big part in my success and I am truly appreciative. She has been a huge part of my ultimate reset transformation. There were several others from our team along this same journey with me – Alisha, Jenna and Lisa mainly served as my support team whether they knew it or not!! Daily interaction with them kept me on track and sane haha! It was great to have my own family there supporting me and cheering me on ? The support group was filled with people committed to this program and they were all amazing as well. We kept each other motivated, encouraged and wanting to proceed. There is such a bond between even strangers when completing a difficult program together. Everyone’s support made the journey that much easier. Who knew that detoxifying could be so much fun? Nutrition was my program so it was EXTREMELY important. No exercise through the entire thing. I will be able to take what I learned and apply it to future programs and I know it will assist me I getting the best results possible. I knew nutrition was important before, but having experienced this, I have a new found understanding of just how important and what it really means. DO IT!!! It is worth the cost and you will NOT regret it. Will you lose weight? Yes. Will you lose inches? Absolutely. But if you are committed and trust the process, what you GAIN will far out weigh what you will lose. You can also check Kate’s Journey with her Ultimate Reset Review.